WOW!!! A super weekend is over. 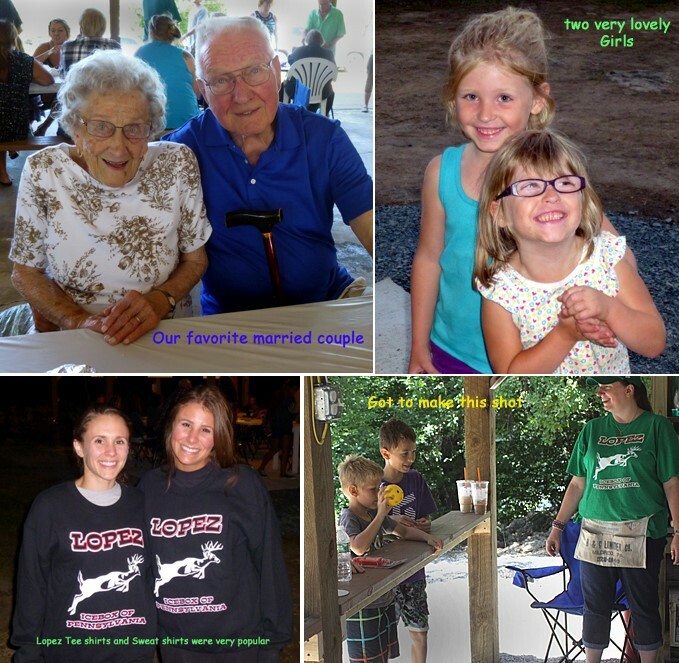 Old Home Days was such a great success on Saturday and Sunday. The Civic Association would like to thank everyone that was involved in any way to make this event the spectacular time it was. I hope you got to visit with old friends and make some new friends. There were some folks that said this was their first time coming and they did enjoy it and will probably be back again next year. The weather couldn’t have been better and all seemed to go pretty smoothly both days. Visiting Irene Huray over the weekend included Irene Pequignot; Shawn, Crystal, Misty and Dylon Pequignot; Kevin and Alyssa Pequignot; Shawn and Jennifer Laird and Elexus, Serenity and Alek; Sophie Bednar; Marge (Bednar) Whipple; Dale, Bonnie (Whipple) and Amy Grosser, Paul and Marge Bednar; and Mickey and Karen Bednar. The 49th annual Sullivan County Model Rocketry Club launch will be held at Harvey Vough’s farm on Saturday, August 13th, with set-up at 10 a.m. and launch about noon. Public is invited and welcome to attend this launch and see what the kids have done in Rocketry this year. Bob, Jr. and Tyler McGuire, Hunlock Creek, spent the weekend with Brian McGuire and enjoyed helping out at Old Home Day. Next Civic Association meeting will be on Tuesday, August 16th, 6 p.m. at the Pavilion. The annual Lopez flea market will be held on Saturday, August 20th, 9 a.m. to 3 p.m. at the Pavilion. So, check out that attic, garage and basement to see what you may want to sell and make a couple bucks. Like they say, “one man’s trash is another man’s treasure”. So, I’m sure you may find something you’d like to sell and something else you’d like to buy. The annual Civic Association picnic will be held on Sunday, August 21st at the Pavilion at 2 pm. This is for EVERYONE who helped with Old Home Days, before, during and after. Also, for anyone in the community who would like to come. Bring a dish to pass and your table service. Come and relax and not have to work. Hope to see you there. Happy Birthday wishes to Lisa (Beaver) Sperry, 14th; Dustin Burke, 15th; Kevin Pequignot, 16th; and TJ Lowden, 17th. Have a nice day. Happy Anniversary to Bill and Bonnie Killian as they celebrate on the 16th. Congratulations and have a good day. From Mr. Neubauer’s little brown book: August 7, 1979 – fair and cold and 34 degrees. (That temp must have been early morning.) I sure like our weather on that date, 2016. We had sunshine, breeze and had to have been at least 80 degrees. Beautiful day. Guess that’s the news for now. My eyes are about closing; it’s almost midnight on Sunday, so better close; probably got too many mistakes already. Glad that Rose catches all of them. 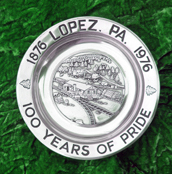 Have news, give me a call at 570-928-9238; mail me; see me; or e-mail me at news@lopezpa.com. I’ll get it in for you. I’ll be here next time and thanks for reading and the compliments. Keep the hints coming.